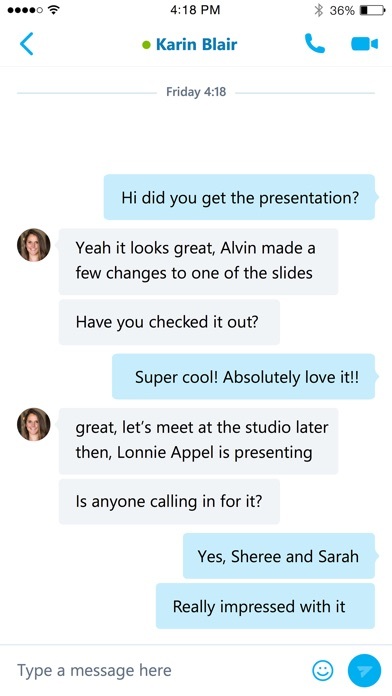 Skype for Business, formerly Lync 2013 for iOS, extends the power of Lync and Skype to your favorite mobile device: voice & video over wireless, rich presence, instant messaging, conferencing, and calling features from a single, easy-to-use interface. Key Features: Initiate a group IM or video conversation and invite additional participants Join, rejoin and initiate a Skype for Business Meeting to communicate and collaborate on amazing ideas Simultaneously view shared content and speaker's video during a conference Control the meeting (mute or remove attendees) and know more about participants’ modalities Look at your upcoming meetings and join via one click Find your recent conversations and pick them up from where you left off Search your contacts by name, email, or phone number Enhanced security via Active Directory Authentication Library Anyone can use the Skype for Business for iOS app when invited to a Skype for Business or Lync 2013 meeting. 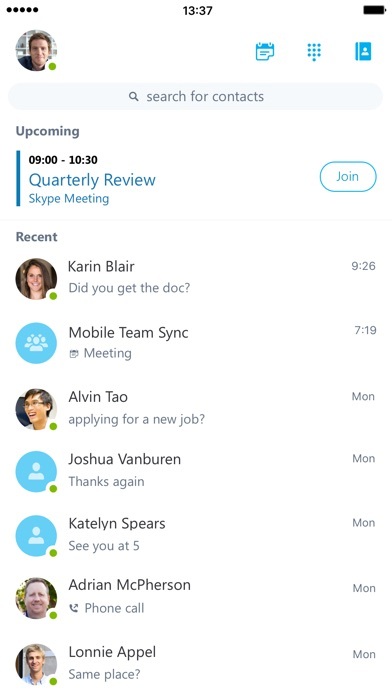 However, you must have a Skype for Business or Lync account in order to use (and enjoy) the full capability of the Skype for Business app. Also, some functionality might require an update to Lync or Skype for Business Server or might not be available to all users. If you’re not sure about your account status, please contact your IT department. IMPORTANT: THIS SOFTWARE REQUIRES CONNECTIVITY TO VALIDLY LICENSED COPIES OF MICROSOFT LYNC OR SKYPE FOR BUSINESS SERVER OR OFFICE 365 / LYNC ONLINE / SKYPE FOR BUSINESS ONLINE AND WILL NOT WORK WITHOUT IT. UPDATES TO MICROSOFT LYNC SERVER OR SKYPE FOR BUSINESS MAY BE REQUIRED FOR PROPER PERFORMANCE. SOME FUNCTIONALITY MAY NOT BE AVAILABLE IN ALL COUNTRIES. IF YOU ARE UNSURE ABOUT YOUR COMPANY’S LICENSE TO AND/OR DEPLOYMENT OF LYNC OR SKYPE FOR BUSINESS, PLEASE CONTACT YOUR IT DEPARTMENT. 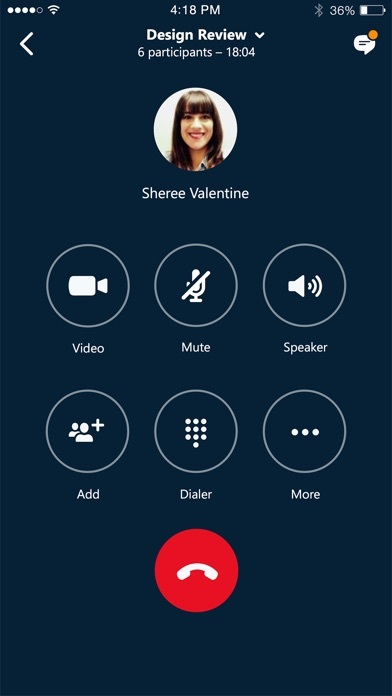 SKYPE FOR BUSINESS APP IS ONLY AVAILBLE FOR iOS 8.0 OR GREATER. I usually prefer using Skype for business on my iPad when away from my office rather than my laptop. The quality is better, easier to startup and run. The only thing missing is a way to get to my apps and files on my laptop. Can start a conversation on iPhone but nothing comes up on pc . Please give us an option to increase and decrease overall font size for the app. Also, a dark theme option similar to Microsoft Tram app. Reliability and stability is just unacceptable. Even if I’m not in transit and using home or work based solid WiFi networking it will typically crash every couple of minutes. This is a hard crash. 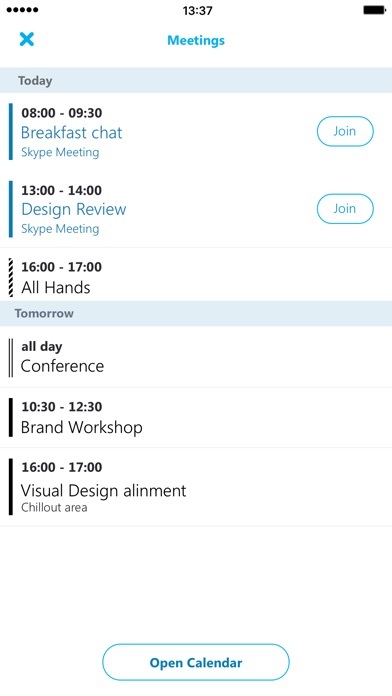 I know it is supposed to try to reconnect dropped calls - and it has tried to exactly once - the app crashes so hard it completely relaunches and you have to find and rejoin your meeting. I can’t believe this is used by major corporations for business purposes. 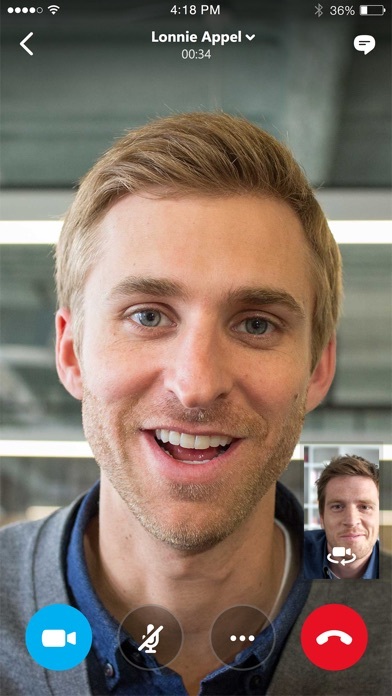 My calls are constant exclamations of “sorry, Skype issues, can you repeat?” The developers should be ashamed. Since I have to use this pile of garbage to do my job, I hope every time that i see an update that someone actually fixed something. I don’t know why, maybe I’m just a masochist. Popup message on iOS 12.2 (and previous): “Saving phone number disabled due to the server policy” this popup is very annoying and is not in response to user input/action. I have never tried to save a phone number while using this app, but receive this popup at least half a dozen times when I use the app. Please make this message go away. What happened? I even tried unistalling and reinstalling. Update causing the issue maybe? The message doesn’t pops in the right time. The connection is bad. The desktop version is totally down. More often than not the connectivity is poor now allowing access to use the platform.